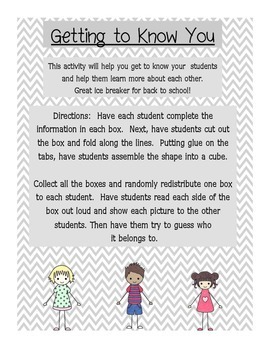 Fun activity to get to know your students and for them to learn more about each other. Hands on activity. 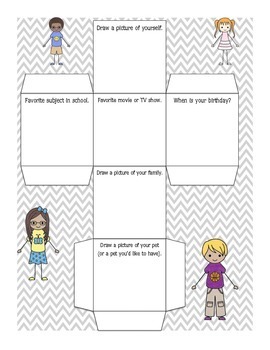 Students create a cube about themselves. Cubes are randomly distributed and students must try to guess whose cube they have. Great for back to school night too!